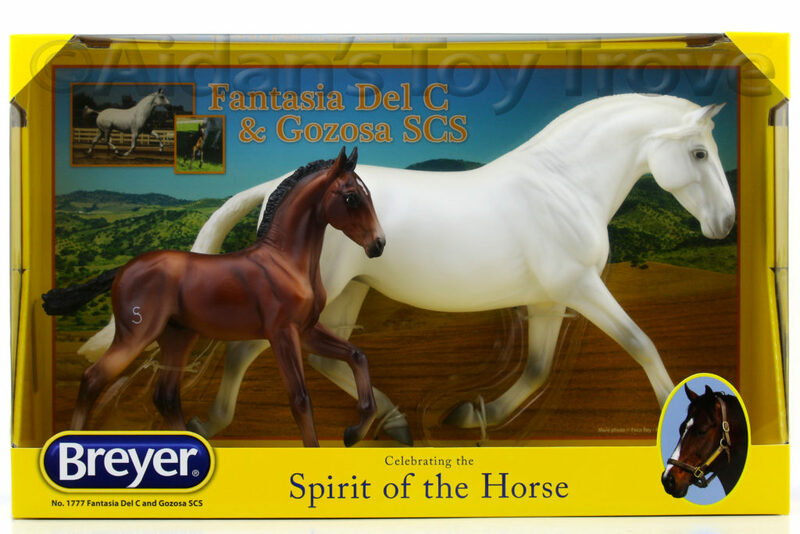 For sale is a Traditional Scale New In Box (NIB) Breyer Fantasia Del C and Gozosa 1777. 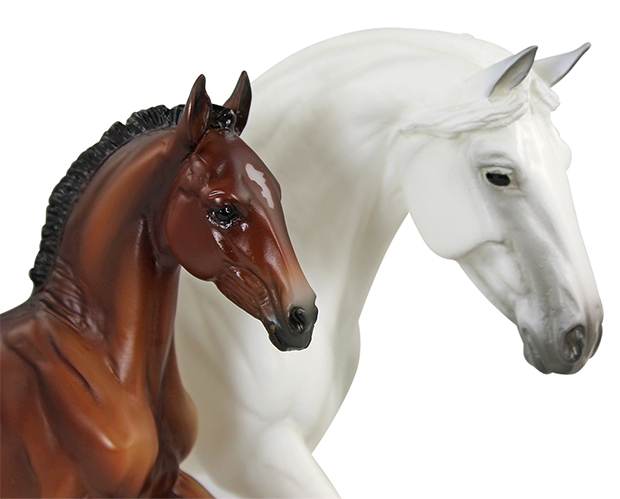 This set is on the popular Andalusian Mare and Foal Mold. This is a new product for 2017. 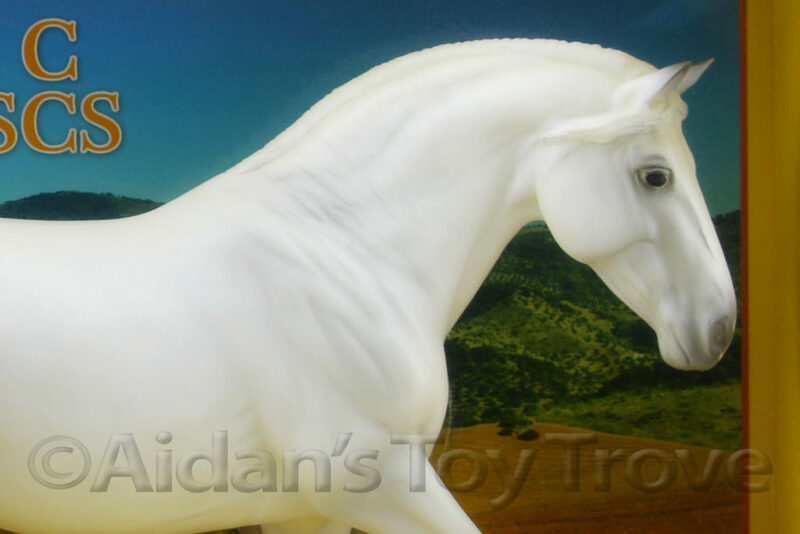 Also known as the Pure Spanish Horse or Andalusian, the Pura Raza Espanol (or PRE) horse hails from the Iberian Peninsula. 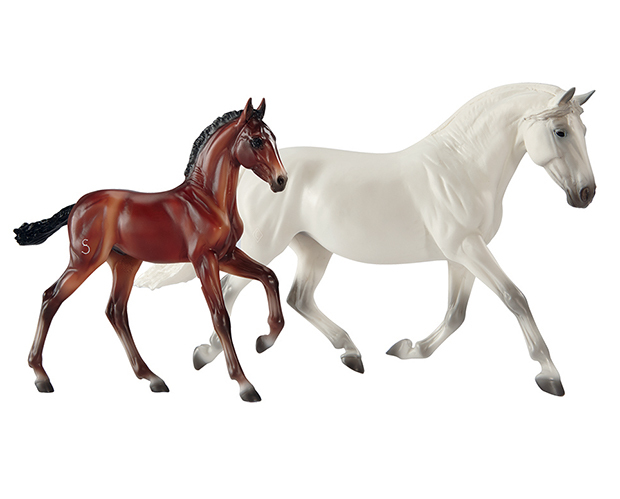 With roots going back as far as the 15th century, these elegant and athletic horses are known for excelling at dressage. 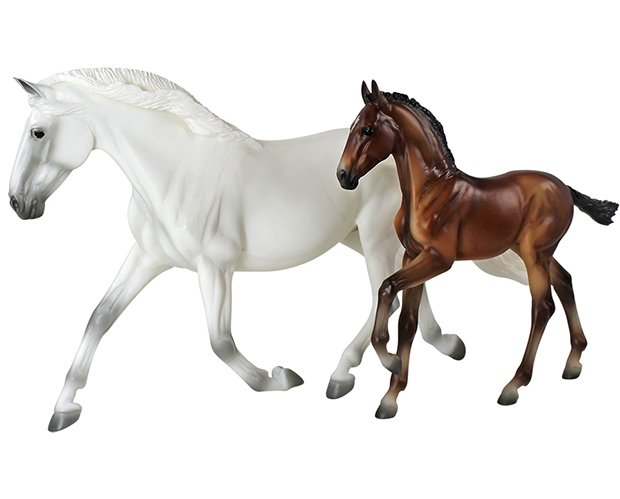 Owned by Origin PRE, Fantasia Del C and Gozosa SCS are a mother and daughter duo that are fine examples of their breed. Fantasia has passed rigorous inspections and vetting, and upholds breed’s standards. Her achievements include being named the 2012 IALHA Purebred Andalusian Horse of the Year; 2012, 2011, & 2008 Foundation for the Pure Spanish Horse PRE National Champion Mare; 2012 IALHA National Champion Senior Mare, and 2013 ANCCE Champion Mare! 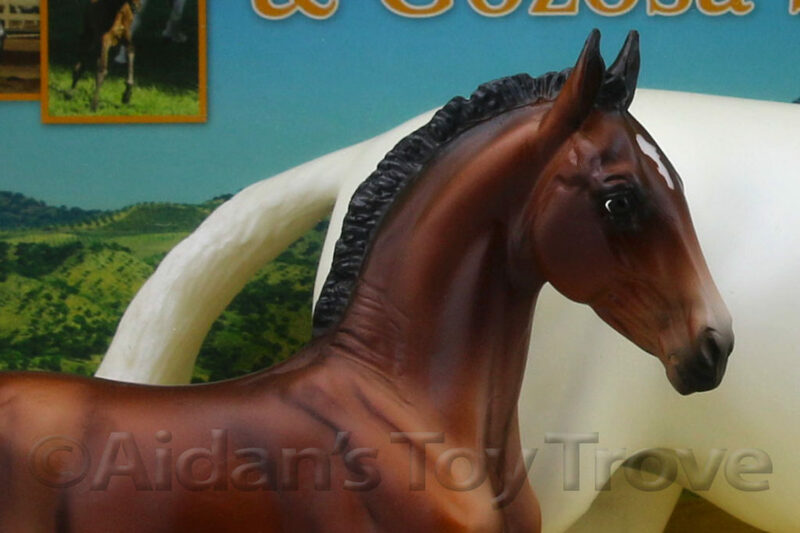 Her 2012 filly, Gozosa SCS, is preparing to follow in her mother’s footsteps. 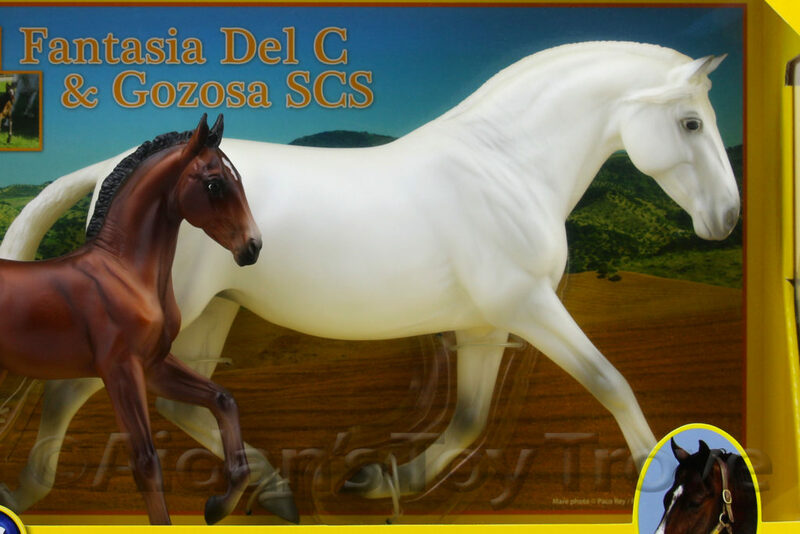 Sired by Qualified stallion Dominante XXIX, Gozosa has beautiful movement and conformation. 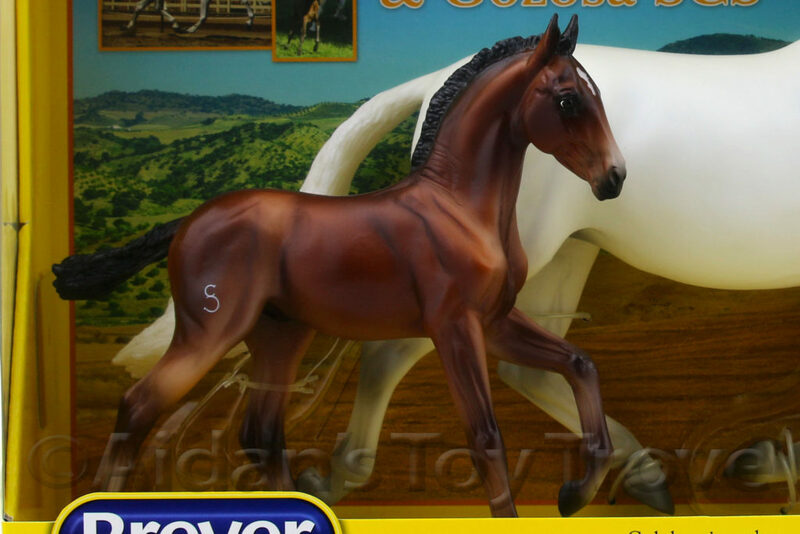 She is beginning her under-saddle training in dressage, and will also compete in-hand in the future! This item will be sealed and tied in its original box, and the box may show some wear from shipping.